Some of the UK’s insects and spiders are highly endangered. The red barbed ant, for example, is the rarest creature in the UK. 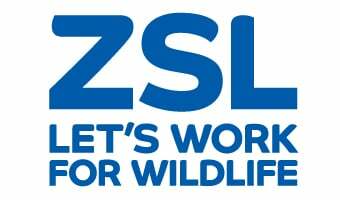 ZSL has been involved in a number of conservation projects aimed specifically at the UK’s smaller inhabitants, including the red barbed ant, fen raft spider, and field cricket. Because they are small, these species can potentially be bred in large numbers in captivity for release, which means that this kind of conservation intervention can be extremely effective. In 2011 and 2012 ZSL became involved in the captive rearing programme for the semi-aquatic fen raft spider, which is listed as Vulnerable to Extinction in the IUCN Red List. It is Red Listed in the UK where it occurred at just three sites. As part of a BIAZA zoo collaborative project with Natural England, newly hatched spiderlings from two of these sites were reared to a larger size to avoid the very high mortality that occurs in the wild at this stage, and produce large numbers for establishing new populations. The spiderlings were released at selected sites in the Norfolk and Suffolk Broads to boost the wild population in the UK. The captive rearing project finished in 2013 as so many spiders were successfully reared, but fieldwork to monitor the progress of the released spiders is continuing. By summer 2016, the four new populations established with spiderlings reared by ZSL and other BIAZA zoos were all thriving. The first of these, on a Suffolk Wildlife Trust nature reserve, has already spread from the small release area to the entire reserve. Around a thousand of the large and characteristic ‘nursery’ webs, built by the females to defend their new broods of spiderlings, are counted there each year. All of the new fen raft spider populations are on landscape scale nature reserves. Their early success suggests that they are likely to expand to occupy these areas and establish large and resilient populations. Although the latest new population, established in 2014-15, did not use zoo-reared spiderlings it is perhaps the greatest testament to the success of the ZSL and BIAZA project. It was established using spiders harvested from the largest of the new populations; no captive rearing was needed, and no spiders had to be sourced from our original native populations. If the current success continues, this species could be removed from the UK Red List within the next decade – a wonderful step back from the brink and a great reward for the expertise and hard work of ZSL and its partners. The red-barbed ant is probably the rarest animal in Britain. The ant can only be found in two sites in the UK, making the population extremely vulnerable, so a conservation programme was set up in 2006 to help stabilise and increase the red-barbed ants chances of survival. ZSL kept some translocated red-barbed ant colonies from the Isles of Scilly at ZSL London Zoo in a purpose-built insect rearing facility, whilst The Surrey Wildlife Trust prepared ideal habitat conditions for their release. In the 1980’s, a single population of less than 100 field crickets existed in Sussex, so ZSL joined forces with English Nature and other partners in the 1990’s to try to help save this cricket from extinction in Britain. A captive breeding programme was established for the field cricket at ZSL London Zoo, and over 15000 crickets have been released in carefully selected sites since the project began. The wild population is now self-sustaining and this species has been saved from extinction due to the rearing project. The wart-biter cricket has suffered a similar fate to the field cricket, with particularly loss of habitat restricting its range to a few sites in southern Britain. A significantly more challenging species to rear, we were still able to release over 600 nymphs at two sites between 1994 and 2000 and established new wild populations. Dave Clarke ran the fen raft spider breeding project for ZSL.